Movie Review: «Mission: Impossible – Ghost Protocol». 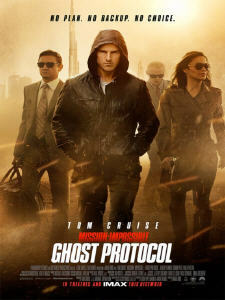 English Title: Mission: Impossible – Ghost Protocol. 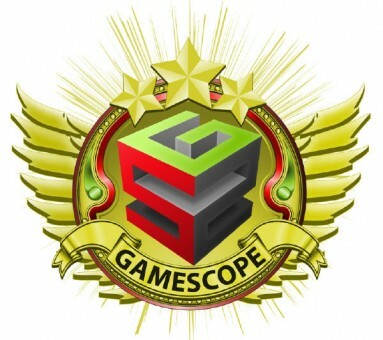 Release Dates: 07.12.2011 (UAE), 08.12.2011 (Russia). 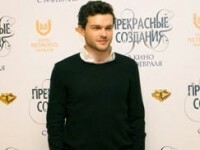 Russian Distributor: Central Partnership (14.12.2011). Genres: Action / Adventure / Thriller. Starring: Tom Cruise, Paula Patton, Simon Pegg, Jeremy Renner. Tom Cruise drove onto the Red Carpet of the Mission: Impossible – Ghost Protocol in Moscow to start the movie’s Premiere with a shining BMW and Paula Patton inside. Behind they were accompanied by the actor Simon Pegg, the director Brad Bird and the producer – Bryan Burk. A lot of Russian celebrities were also attening this venue to see the new episode in the famous spy action series – Mission: Impossible. We have already watched it in IMAX. and are willing to share our impressions with you in this Review. With the creative mind of producer Bruce Geller the second half of the last century saw a new TV series launched in the US and entitled Mission: Impossible (1968-1973). It was telling a story about secret agents working in the Impossible Missions Taskforce (IMF) structure. Top authorities were sending its teams to the most risky covert operations, which could hardly be completed by anyone else. Mr. Geller even launched a remake for this series, which was being aired in 1988-1990. Such stories featuring a foundation for spectacular action pieces, certainly, can find their place on the big screen, and 22 already released James Bond films just prove this one more time. The main differences between this franchises lies in the fact that where James Bond is able to operate nearly on his own, the IMF team is a single entity working together to reach their goal. Though it is impossible to deny that the leading role in the group has always been given to Ethan Hunt, and the new Mission: Impossible – Ghost Protocol (2011) follows the same tradition. In the first feature films trilogy released in 1996-2006 the leading figures in Hollywood were helming the franchise. The list of its Producers includes Brian De Palma, John Woo and J.J Abrams. Among the script writers you could see David Koepp, Alex Kurtzman and Roberto Orci, while the music albums at different times were contributed by Danny Elfman, Klaus Badelt and Hans Zimmer. The original music heme for the TV series was composed by an Argentian composer named Lalo Schifrin and later only acquired a number of various remixes. In Mission: Impossible – Ghost Protocol you will hear it again, but not after treatment of Michael Giacchino. It is also notable, how the production efforts of Tom Cruise influenced the Quadrilogy creating a huge place for action sequenced, where he also starred as the leading actor with a pleasure always seen in his eyes. In this Review we will also mention some names missing in the fourth episode. However, all these risky crew changes were able to led to an increase in the box office figures. The new movie in the feature film series was created without the Producer’s aid of Paula Wagner for the first time in its history, though in exchange it got a lot of other big names. So J.J. Abrams moved from the Direcor’s chair to the Producer’s one for the new sequel. 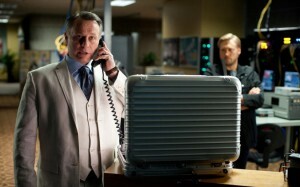 Also to the Mission: Impossible – Ghost Protocol crew he brought in his Australian friend – Bryan Burk. Other well-known names who worked on this Ethan Hunt’s adventure are André Nemec and Josh Appelbaum, as well as the aforementioned composer – Michael Giacchino, who all collaborated on the Alias (2001-2006) TV project. 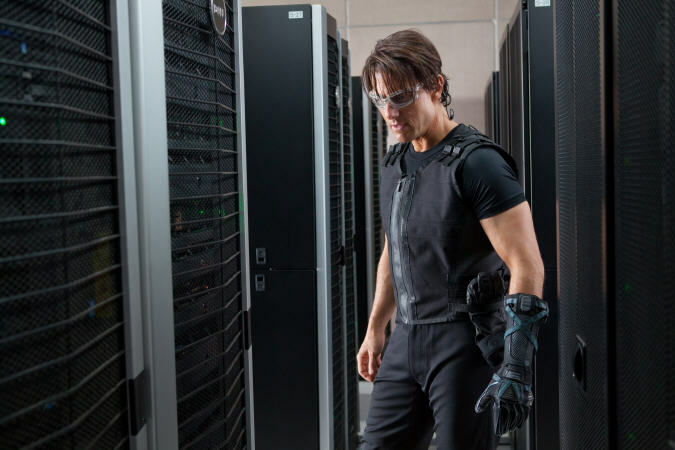 One of the advantages for the Mission: Impossible – Ghost Protocol story is in the fact that the updated team was able to establish all the required connections with the previous films, while bringing in some fresh names and ideas. It all starts with Ethan Hunt being held in a Moscow jail, while the Mission: Impossible world is revolving around another villain’s plot. The adept killer with model looks is played by Léa Seydoux, who managed to eliminate one of the IMF agents with a face of Josh «Sawyer» Holloway and steal Russian nuclear launch codes. When Ethan is freed, he has to admit that old times somewhat changed. He can’t pick the team for himself anymore, instead trying to work with the agents appointed to his squad, though not all of them are experienced with such dangerous missions, but they try all they can. If you watched Mission: Impossible III (2006), then you will surely be familiar with Benji Dunn portrayed by Simon Pegg, who will again demonstrate his skills in hacking security systems and managing electronic devices to enter any heavy guarded location. Some British humour is always a part of Simon Pegg roles just like in the Mission: Impossible – Ghost Protocol movie. All the jokes mostly come from his dialogue lines, and, yes, good action thrillers can be funny at times without spoiling the experience. The group of Ethan Hunt also includes a nearly confident Jane Carter presented by Paula Patton, who has to seduce an Indian media tycoon played by a talented local actor – Anil Kapoor, what is most known for his work in Slumdog Millionaire (2008). Generally, the second plan roles for the Mission: Impossible franchise employ a variety of famous actors. This time one of them went to Vladimir Mashkov, who is already a symbol of Russia in Hollywood. From the oher side there is also Tom Wilkinson always playing some strategic masterminds. Mission: Impossible – Ghost Protocol will be memorable also by its villains, though here mostly for the wonderful Léa Seydoux performance, whose Sabine Moreau’s character accepts only diamons as payment for her deadly services. Her previous much more peaceful role consisted of a few episodes in the Midnight in Paris (2011) comedy. She is also the grand-niece of the Gaumont’s director, which is a French film production company. The main villain Kurt Hendrics is portrayed by Michael Nyqvist – probably, the weakest chain in this tough equation. 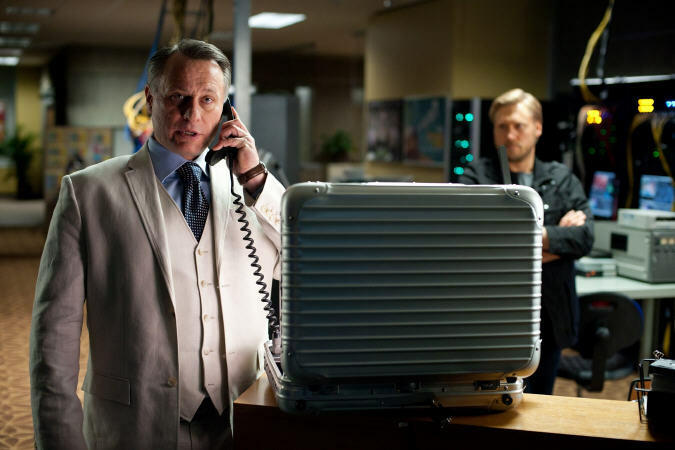 Michael Nyqvist is a very popular actor in Sweden, and after the Nordic protagonists he has got a chance to play an evil genius provoking the new World War, while moving to the other side of the law in the Mission: Impossible – Ghost Protocol film. Though Kurt Hendricks is a rather classical villain, he lacks some character’s depth performing like a robot rushing to his ultimate goal to destroy the world. Even his speech watched by the IMF team doesn’t help to understand his risky motives, where he is willing to give away his life for a Doomsday mission, though there is some past background coming to place as well. Vladimir Mashkov as a Russian hitman Anatoly Sidorov tries to chase Ethan Hunt and his team to take revenge for one explosion, but the main strong point of this motion picture comes in a form of stealthy missions, which could make James Bond get jealous. The smart entry to the Kremlin archives or substituting a formal meeting with a clever exchanging procedure at a hotel go like a piece of cake for the IMF team. Here the filmmakers added some connections to the reality. Secret agents always have a plan. The Mission: Impossible – Ghost Protocol film shows that even an ideal one could fail. A spy phone won’t self-destruct, while moving up at the Burj Khalifa tower comes with a risk of falling down too fast. It requires some improvisation, and the team members carry it out perfectly. Even more: Tom Cruise himself was willing to participate in making all the scenes at the 124th floor’s height, what is equal nearly to 828 meters, where the actor showed persuading performance using a pair of Gekkon gloves and no signs of stunt doubles. Characters get bruises, fractures, and the operators carefully concentrate viewer’s vision on this to show that even first-class agents sometimes have to attend a doctor. Heroes and villains are walking slowly and fight worse after receiving some damage. These action-scenes are filled with intriguing special effects like a targeted search in sandstorm conditions. By the way, this time cars got much less attention that they are usually given in action movies. 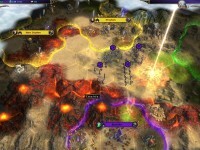 The main focus here is on people using innovative spy gadgets to perform their missions. Luxury home interiors show the riches of Mumbai (India) tycoon’s life, just like the shiny floors of the hotel in Dubai (UAE). For filming Moscow scenes the crew didn’t even have to visit Moscow. Some general Red Square footage was used along with filming at the locations of Prague. After that some photographs come into played, and all of that was digitally edited to create everything you see as Moscow episodes. The final episode of Mission: Impossible – Ghost Protocol takes place in a Canadian coffee shop that is somewhat behind the rich styles of the first half of the movie. Though the ending still holds a few surprises for the fans of the first trilogy that we will intentionally not discole in this Review. Jeremy Renner’s character named as an agent Brandt has also successfully complemented the IMF team with his analytical expertise and physical strength. The ending of Mission: Impossible – Ghost Protocol clearly shows that nothing stands in the way of another possible sequel, but this time the story has advanced to a new level going from a niche spy thriller to an international action flick being more mature, realistic and larger in scale. The filmmakers, probably, are already thinking about the sequel, and there were some clues left in the script to be developed, while still everything is always depends on the box office, which might surpass the initial production budget evaluated at the 145 mln. USD mark rather soon. If this figure is close to the true one, then the authors were able to achieve a more interesting result spending less money, since the making of the previous episode cost around 150 mln. USD. Michael Giacchino’s music successfully starts a new set of remixes of the well-known tune in the officisal soundtrack movie of Mission: Impossible – Ghost Protocol. Not without some portion of copyright works, that neatly hidden under a thick layer of spectacular action on the screen. Also in this Review we would like to highlight some technological innovations used wih the shooting mechanics. We are talking about filming with IMAX cameras responsible nearly to 25-30 minutes of the footage. Panoramic city views look astonishing. This definition is just as high as the Burj Khalifa tower is amogst other architectural monuments. IMAX-version of the motion picture goes to the theaters worldwide 5 days earlier than the usual 2D-version to attract more viewers to the modern, yet not that much popular alternative to the common 3D-cinema. The movie is opening in IMAX theaters on the 16th of December, 2011. Mission: Impossible – Ghost Protocol is an entertaining spy action movie, which might please the fans of this genre and this film’s actors. All of them were trying to save the original style, while innovating a lot in the Mission: Impossible franchise, as well as filling the result with many visual effects and colorful interiors brought from all around the world. This happened under the helm of the Brad Bird director’s vision, whose most known works before this movie included The Incredibles (2004) and an Oscar-winning animation picture entitled Ratatouille (2007) marking a nice transition to the big screen with a new blockbuster. Watch More: Featurette / Trailer.